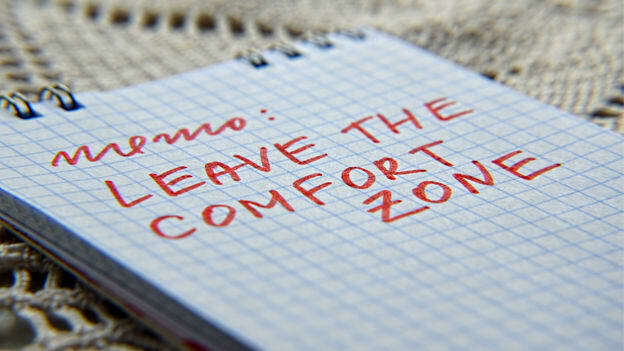 A word of caution arises when we become lethargic in our comfort zones. In such scenarios, more often than not we are bound to lose our differentiating edge and may end up being a moderate performer. Last week, I had an opportunity of listening to Varadarajan Srinivasan, a global HR leader with over 3 decades of experience, former CHRO at Tata SIA Airlines, on how can we push ourselves to step out of our comfort zones. He shared various examples from his experience where he was pushed to step up and sense of achievement on accomplishing the end results was phenomenal. Starting from being deputed to manage the HR functions at a liquor factory down south, to facilitating his first ever training program, to flying off to Muscat 25 years back in 1992 for his first ever international role, to leaving a well-established job for starting a BPO in the times when outsourcing industry was at the most nascent stages in India. When he took up all these leaps, while he was not full of confidence, a little anxiety is was what helped him outperform expectations. During the conversation, Raja pushed us as a group to consider what he calls Person’s Optimal Anxiety (POA) – not to be too anxious to flunk but some amount that takes us out of our comfort zone and that is what pushes us to overachieve. An obvious question that would come to each of our minds is: why to step out, why risk it? While a thoughtful response may be that it accelerates performance and provides more learning opportunities, as leaders a critical consideration is to avoid developing redundancies. If as leaders and teams we stop stepping out of our comfort zones, it will become impossible to survive when the change comes. Exploring the new territories not only enhances productivity but also propels creativity and makes us push our boundaries easily. Face your fears – Swami Vivekanand once said, “The whole secret of existence is to have no fear.” Many a time, we fear for the unknown, and true is a common tagline that there is a victory lying ahead of our fears. So, let’s try something different and when we do that the sense of achievement is phenomenal. Letting out a personal anecdote, Raja shared how at this current age, he is learning Sanskrit. And while it is a completely new territory for him, the excitement of going back to it and finding something new is what keeps him motivated to stick with it. Tip: If you are someone who fears the impact of your own actions on self, others and the organization, set expectations internally, get a safety net and share your fears at the onset. Maybe start with facing personal fears; expand your horizon and pick up a new area of work within your space. Change your mindset to be comfortable in taking risks – A sailor can never be a good sailor unless he has sailed in the rough waters. Acceptance of failure is critical in helping us push ourselves to step out of the comfort zone. A good way of making this happen is to take risks with a mindset of non-attachment. If we are too attached to the risk, chances of us being open to the failure are very low and that will severely restrict ourselves from taking the next steps. Tip: Give yourself an opportunity to know yourself by always trying something new. Once you know how you make decisions and handle crises, creating this mindset shift will be easier. Tomorrow is a new day and if we survived today, we will survive tomorrow as well. So go ahead, make decisions based on the gut feeling, say yes more often than no, jump into things, stretch yourself, enjoy the unknown, experiment and who knows tomorrow may actually be way more fulfilling than today! Re-inventing ourselves is what is going to keep us competitive and a little churn in the tummy is what helps us outperform and build new perspectives and horizons.